Home » Who has the right to decide if and where a person is buried/cremated? Who has the right to decide if and where a person is buried/cremated? If a person has named an Executor in their Will and that person is ready, willing and able to arrange for the burial/cremation of the deceased’s body, the person named as Executor has the right to do so. Apart from appointing an Executor and apart from any applicable law dealing with the disposal of parts of a body, a person has no right to dictate what happens to their body. There is no property in a body (ie upon a person’s death it does not belong and nor does anyone have a right to it or to dispose of it). In a Will, a person can express their wishes to the Executor(s) appointed under their Will as to how they wish for their body to be disposed of however, this is not binding on the Executor(s). Therefore it is important when considering appointing an Executor under your Will to ensure that you discuss your wishes with the Executor and appoint someone who you trust will carry out your wishes. What if there is no Executor named or no Will left? Where no Executor is named and/or no Will is left, the person with the highest right to take out Administration of the Estate of the deceased has the same privilege as the Executor referred to in the paragraphs above. The right of the surviving spouse or de facto spouse is preferred to the right of the children in this regard. Where two or more persons have equally ranking privilege, the practicality of burial/cremation without unreasonable delay decides the issue. If a person dies in a situation where there is no competent person willing to bury the body, the household where the death occurs has the responsibility for burying/cremating the body. The cost of the burial/cremation is usually paid for by the person with the right of burial/cremation. A person who pays for the cost of burying/cremating a body has a restitutionary action to recover their reasonable costs and expenses out of the estate of the deceased person. 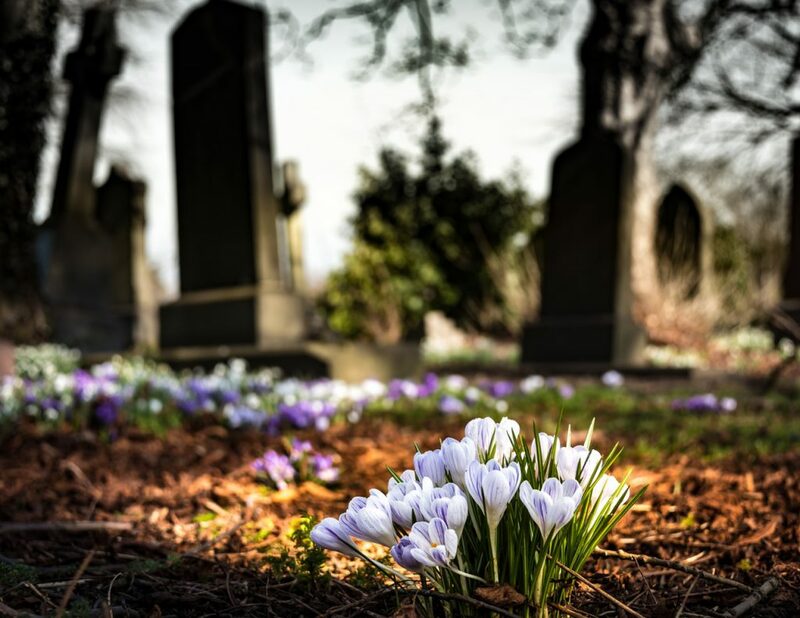 The person who has the right of burial/cremation is also the one who controls the grave and headstone and they are able to determine the engraved words on the stone, its appearance and the appearance of the grave, subject to the cemetery bylaws.